I don't know about you, but we have a TON of pillows on our couches. Seeing as we've got 3 kids and tons of cousins, they don't always hold up well. 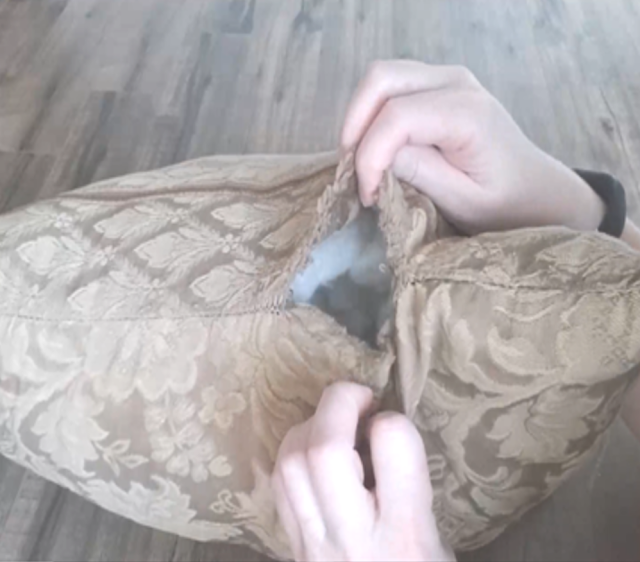 One of our pillows has had a huge hole in it for months. 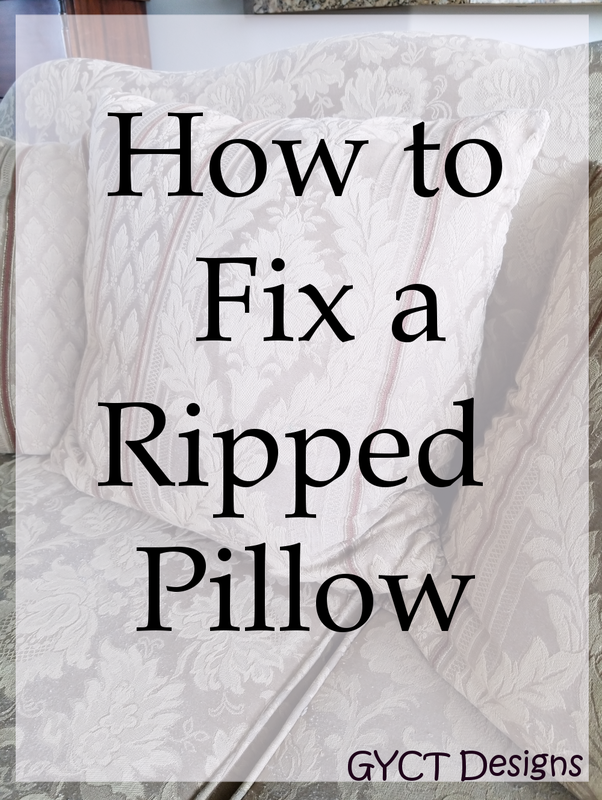 Today I finally tackled that project and fixed the rip in the pillow. It is a pretty big rip. But I knew I could easily fix it with a needle and thread and using a slip stitch. The slip stitch is probably my most favorite hand stitch. I use it often to hem garments or in the this post where I hand sew a dress lining. 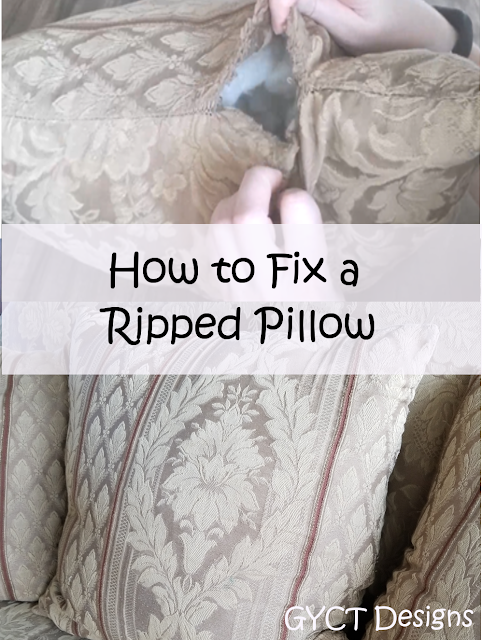 It is the perfect stitch for a ripped pillow seam because you can't really see it. I put together a little video to show you how fast it is to fix. And if I remember this myself, perhaps I won't take 3 months to fix a ripped pillow seam again.